Beginning the homeschooling journey can be hard. Even more so when you begin to think of all the money that the curriculum can cost! One great way to calm your nerves and begin to see the light at the end of the planning tunnel is to have a strategy in place. 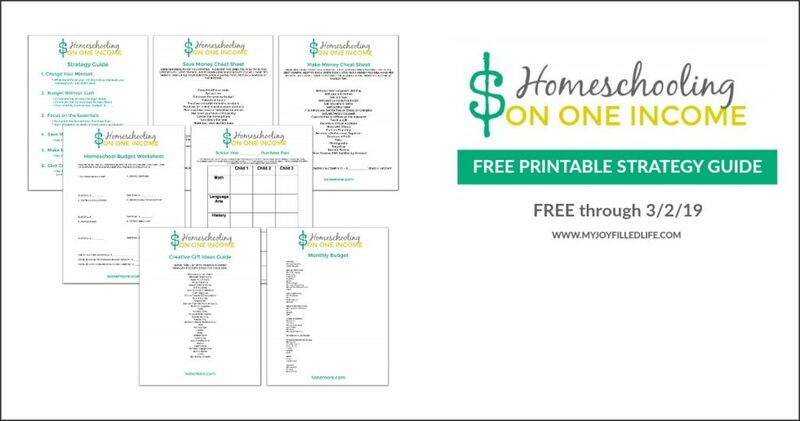 This freebie will help you map out your homeschooling plan using only one income. Head Over to My Joy-Filled Life to Grab Yours!